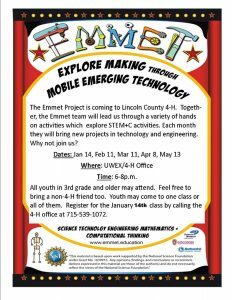 The Emmet Project is coming to Lincoln County. They will be hosting monthly meetings starting in January. 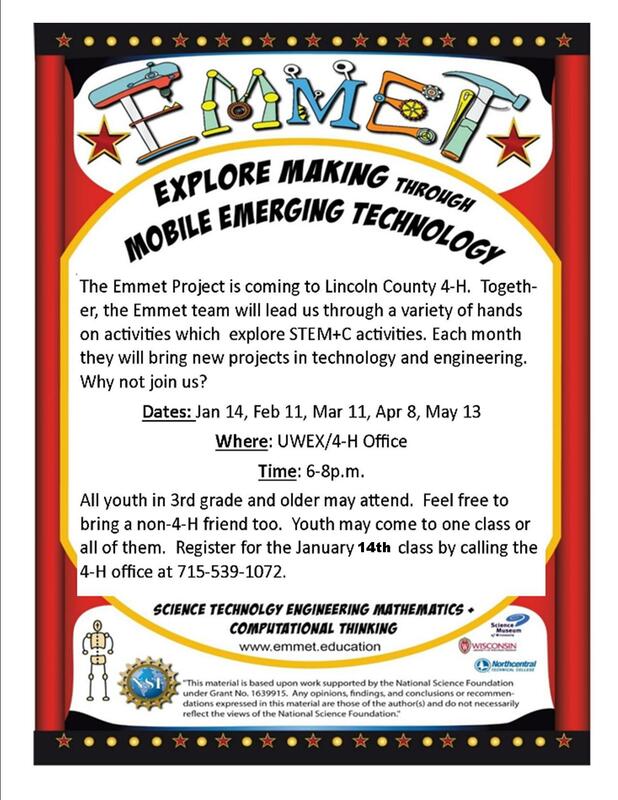 Come engage in many new activities related to Science, Technology, Engineering, Math and so much more!! This is for all youth in 3rd grade and older create. Sign up today! See flyer for more information regarding dates and times.